Many people today are enamored with the idea of speed, rapid transformation, thrills, and adventures. Indeed, these are prominent characteristics of our modern society. What we may fail to notice is that this highly charged lifestyle has allowed stress to become our constant companion. Chronic stress has been recognized as a risk factor for heart disease because it exposes us to high levels of stress hormones, increases blood pressure and heart rate, and may damage artery walls. It’s no wonder, then, that millions of individuals around the world succumb to heart diseases. In fact, heart disease is one the number one cause of death in the world and the leading cause of death in the U.S. According to the American Heart Association, cardiovascular disease and stroke cause the death of one out of three women each year. That means that approximately one woman dies of these diseases every 80 seconds! Stable angina: Stable angina is characterized by chest pain that occurs during physical activity or stressful situations. It usually diminishes with rest. Stable angina can progress into unstable angina that may be a precursor to a heart attack or sudden cardiac death (cardiac arrest). Variant (Prinzmetal’s) angina is a rare type of unstable angina that is caused by a spasm of the coronary arteries. These spasms often culminate in painful attacks, most often during sleep or while resting. The spasms are often triggered by smoking, cocaine use, stress, or exposure to cold weather. This type of angina does not usually lead to a heart attack. CMD occurs when very small coronary blood vessels—those that are too small to see on a coronary angiogram—are diseased, compromising blood supply to the heart’s muscle. CMD usually occurs in women younger than 50. The disease makes them more prone to having a heart attack. Broken heart syndrome is also known as takotsubo cardiomyopathy, apical ballooning syndrome, or stress cardiomyopathy—the latter name because a specific localized stress-induced cardiomyopathy is thought to be the major reason for this relatively unusual heart condition. Even if one is perfectly healthy, stressful situations such as intense anger, sadness, or shock can trigger the broken heart syndrome in women. It has been widely speculated that actress Debbie Reynolds may have died of broken heart syndrome the day after her daughter, Carrie Fisher unexpectedly passed away. Although traditional risk factors, such as smoking, diabetes, abnormal lipids, and high blood pressure certainly contribute to cardiovascular diseases in women, Dr. Rebecca Thurston, Professor of Psychiatry at the University of Pittsburgh School of Medicine, recently published a study in the December 2017 issue of the journal Menopause that showed that traumatic events are also a major risk factor for vascular disease in women, thus increasing their chances of heart disease. Dr. Thurston studied 272 non-smoking women nearing or in menopause, asking them about prior traumatic experiences such as sexual harassment, a child’s demise, being physically assaulted, surviving a car crash or other accident, or living through a natural disaster. She found that women who had experienced three or more traumatic incidents earlier in their lives had poorer endothelial function (the function of the lining of their blood vessels) regardless of their other risk factors for heart disease. 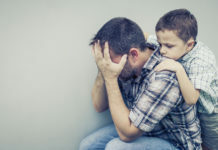 This study is significant because, with the exception of a large body of work on the health impact of adverse childhood experiences, very little research has been done with regard to the impact of other types of traumatic experiences on cardiac health. Dr. Thurston hopes that her study will encourage medical practitioners to inquire about their patients’ history of traumatic experiences and focus special attention on their specific treatment needs. When it comes to cardiovascular health, the more we know, the more we can do to optimize our lifestyles to support our heart’s health.